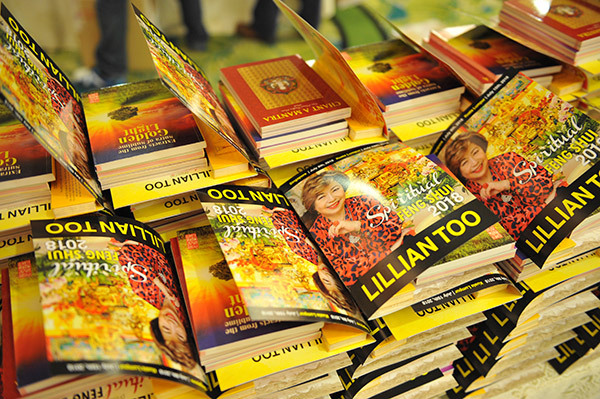 Just before the New Year each year, Lillian Too holds her annual Feng Shui Extravaganzas to share invaluable tips and advice on the coming year, with full explanation of the annual charts, the change of energies and the Flying Star updates. Those events usually happen in December before the new year. 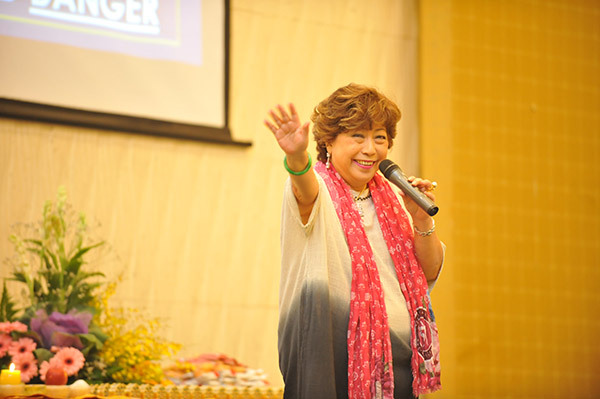 In the mid-year period however, Lillian shares something perhaps even more important – the spiritual aspect of Feng Shui, which when used in conjunction with the more scientific Feng Shui formulas and calculations from the Flying Star and Eight Mansions schools of thought, makes one’s Feng Shui practice even more potent and quick-acting. 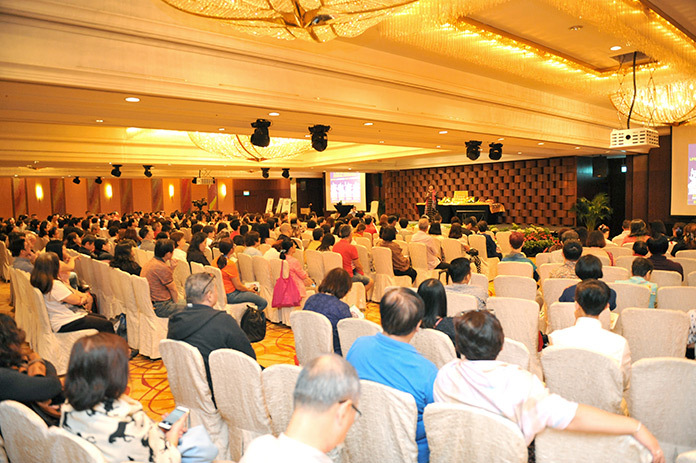 If you are going through a difficult patch in life, suffering from lethargy or low energy, struggling to make all your finances meet, working towards specific goals and endeavours that encounter roadblocks or obstacles, learning the art of creative visualisation and calling on spiritual help is invaluable knowledge indeed. 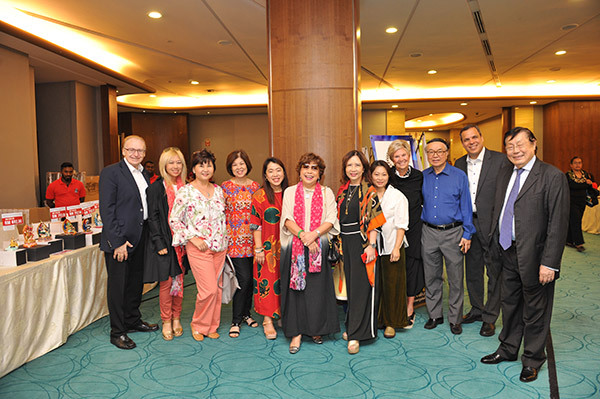 These are some of the best kept secrets of the Chinese way of life; when you know how to harness the blessings of the deities and how to use the power of your own mind, you can truly fast-track the attainment of all your goals and aspirations. 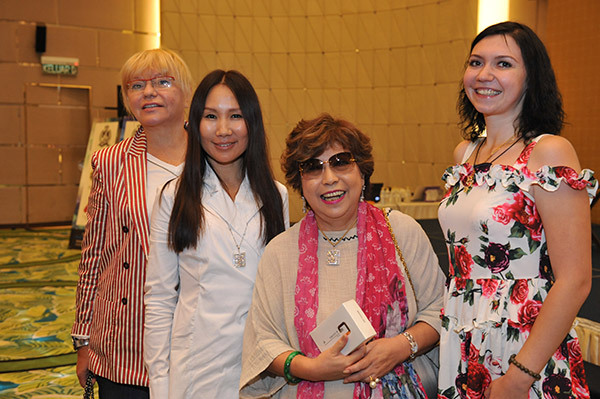 Lillian Too’s Spiritual Feng Shui Event started in Singapore on Sunday 9th July 2018 at the Marina Mandarin, where she addressed her mainly Singaporean audience, followed by her Kuala Lumpur Spiritual Feng Shui Event on Sunday 15th July 2018 at the Gardens Hotel Ballroom, with participants from Malaysia but also many students and followers from around the world, including the USA, Russia, Estonia, Kazakstan, Indonesia, India and the Philippines. The four great heavenly kings are worldly protectors of the four directions of North, South, East and West – also the protectors of the mortal world. Each of these heavenly kings are in charge of one of the four directions and has his own set of duties. When you invite their images into your home, they keep you safe from danger, protect your body speech and mind, and bring you prosperity of the kind that will allow you to do whatever it is you want to do. The Guardian of the South is VIRUDHAKA aka “The Immuniser”. He cuts through all the evil and dangers that you might encounter and immunizes you from the effect that negative people may have on you. Lillian explained that when you invoke his blessings, people who are “bad for you” somehow will disappear from your life, and you will instead attract people who are beneficial for you. Friends who are good for you, who are a good influence on you, and who will not pour cold water over your ideas and what you are trying to achieve or do. This is also the Heavenly King who is the guardian of your Life Force. If your element luck Life Force is low for the year, you need Virudhaka. The Guardian of the East is DHR-TARAS-TRA aka “The Adjuster”. This heavenly king transforms all bad into good. If you have been going through a difficult period in your life, or encountering “bad luck”, you need the help of this heavenly king. He is also the guardian of your Spirit Essence and having him near you will prevent anyone from being able to do black magic on you. He protects you against spirit harm and the jealousy of others, and the associated harm that this can lead to. Those whose Spirit Essence is low for the year need the help of this Heavenly King. The Guardian of the North is VAISRAVANA. He is also known as the “Wealth Protector” because he guards your wealth. He ensures that there is no loss or wastage of your asset wealth, allowing what you save and invest to not just be conserved but to grow over time. He carries the wealth-spouting mongoose -like many of the wealth deities of the Chinese and Tibetan traditions – and he is also the Lord of the Yakshas. He brings prosperity into your life and ensures you will not suffer from poverty. Those who are going through tight periods, suffering from a slow-down of business, or having to manage cash flow problems need the help of this Heavenly King. The Guardian of the West is VIRUPAKSA. This heavenly king holds the snake, sometimes depicted as the lasso, and he protects against illness and black magic. He reigns supreme over the nagas and ensures keeps you strong against sickness and diseases. Anyone facing any king of health obstacle should call on his help. All of the 4 Heavenly Kings are supremely important and beneficial to invite into your home, but you can also invite them singly as they operate individually as well as together. Lillian said that of course, to have all four heavenly kings is ideal, but if you can only invite one, then you can invite the king in charge of matters more pressing to your personal situation. 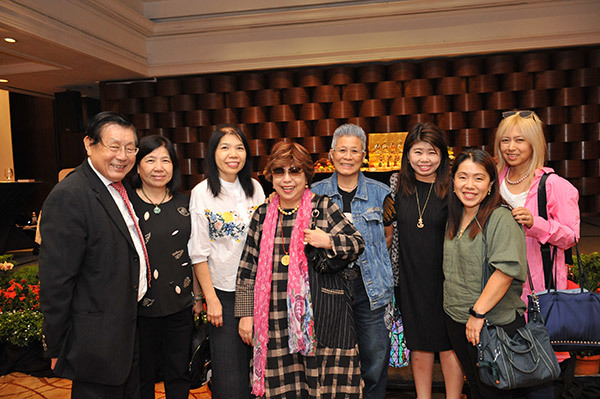 The heavenly kings are the worldly protectors, but just as important are the cosmic protectors and the most important of these are the five wisdom Buddhas. 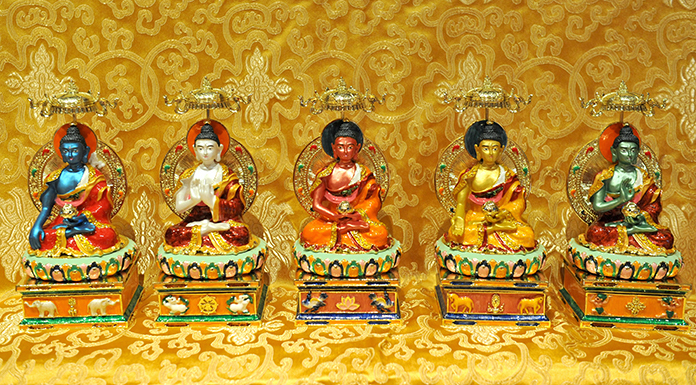 Lillian’s afternoon sessions introduced these five Buddhas, who are the “Heads” or leaders of the five families of Buddhas. The Buddha families are the Vajra family, the Tathagata family, the Jewel family, the Lotus family and the Karma family. Each family consists of 7 Buddhas, and 5 X 7 = 35, which make up the 35 Confession Buddhas, headed by the 5 Wisdom Buddhas. It benefits everyone who believes in spirituality to invite these 5 Wisdom Buddhas into the home. 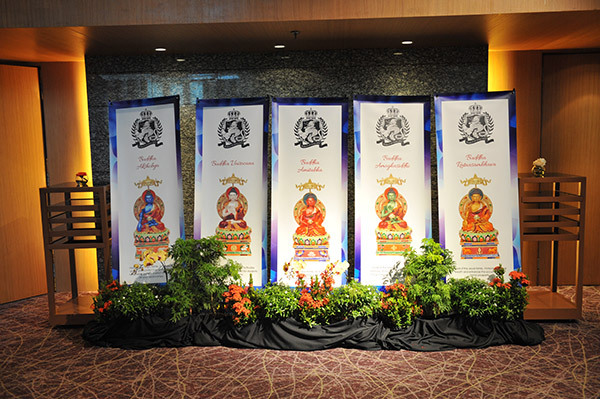 These Buddhas represent each aspect of Buddha nature, and when one begins to understand what each of these Buddhas represent is when one takes a big step towards wisdom and enlightenment – the biggest singular aim of anyone studying Buddhist philosophy. 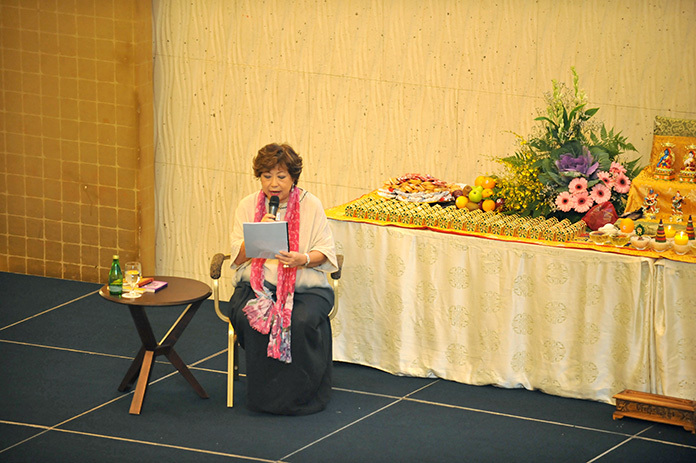 Lillian impressed upon her audience that she does not think of Buddhism as a religion, because in Buddhism there is no “Creator God”; rather, everyone has the Buddha Nature within them and studying the Buddhist Path simply leads one to unlock this Buddha Nature that is already within themselves. 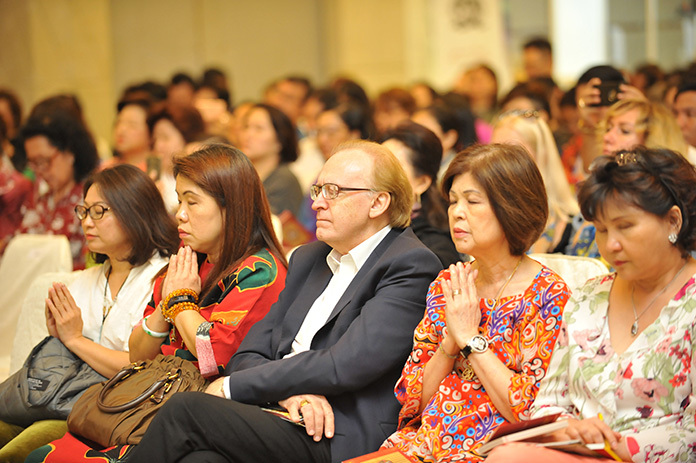 Buddhism is more a philosophy; to practice Buddhism, you do not need to be “Buddhist”. You can continue to practice your own religion, but what Buddha teaches is to be compassionate and kind. To be wise and to be all-knowing. 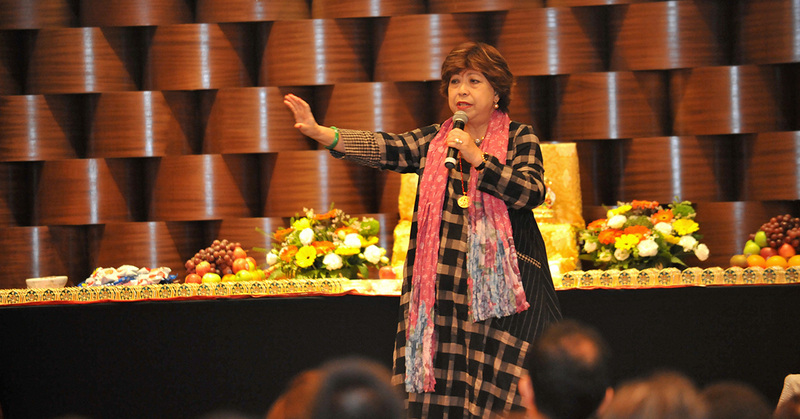 Indeed, the biggest sin, as taught by Lama Zopa Rinpoche, reveals Lillian, is “Ignorance”. Not knowing is not an excuse – it is everyone’s duty to aspire to know, to find out, to learn. Life is indeed a continuous journey of learning, and as long as one continues to learn, one is on the right path. Lillian’s second session she spent introducing these 5 Wisdom Buddhas, what they stand for, their symbols, implements and realms of rule. She impressed that when one wants to learn to pray, to chant mantras, to follow a spiritual path, it is not enough to just learn the motions of the rituals and to chant mantras blindly. One should not be content with just blind faith – one should strive to understand what one is chanting or who one is praying to. Hence the importance of learning about these 5 Buddhas, the root of all Buddhist knowledge. The images of these Buddhas in your home makes one’s spiritual path more smooth, and there are countless material and non-material benefits to inviting them into your life. 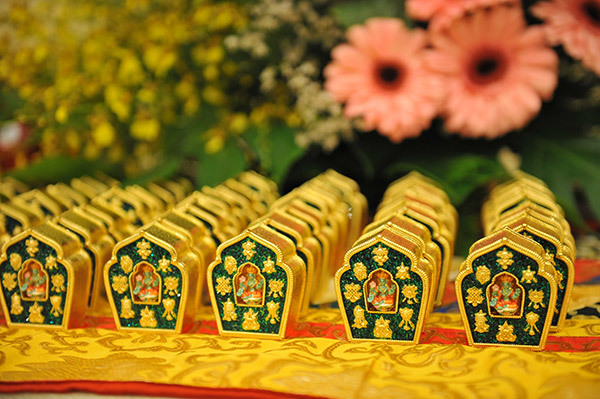 Invoking these Buddhas makes one immune to gossip and slander, keeps one’s children safe from harm, ensures prosperity continues to flow into your household, ensures good business luck, protects you against accidents both at home and during your travels, protects against loss of income, and protects against black magic spells. In short, they have the ability to create magic in your life. She also taught on the benefits of “Praise”. That saying that flattery gets you everywhere, it’s totally true, and Lillian shared a new word to introduce into your vocab – “GLORIOUS”. Says Lillian, “Try it. The next person you bump into, say “Have a glorious day!” or “You look so glorious”. Or “Your hair is simply glorious!” Works! Try it. Pointing to her gargantuan-sized zircon diamond Magic Square pendant, she said, “I will not be offended if you ask me, Is that fake? Well darling, of COURSE it’s fake! Are you kidding me? If you wear real, and someone snatches it off you, die lah… kek sim (which in Hokkien slang means “Heartache”). 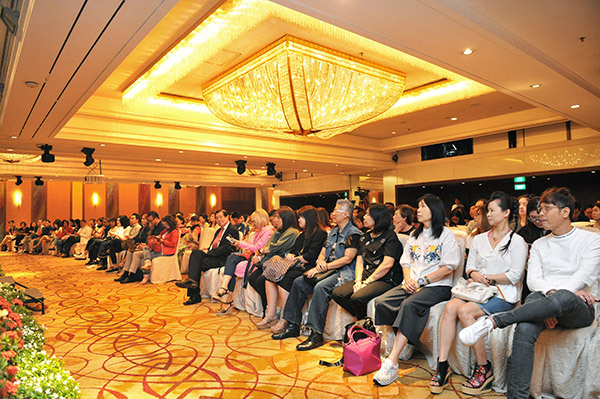 The audience roars with laughter. 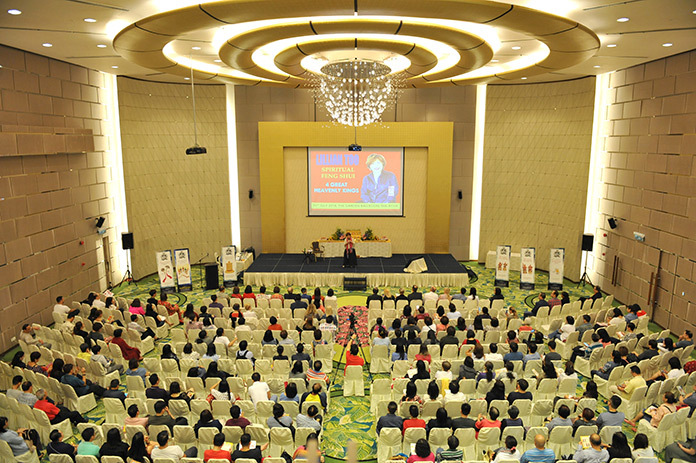 Those who missed Lillian Too’s Spiritual Feng Shui event 2018 can catch the event online – available via www.wofs.com – subscribe to be kept informed when it comes online! 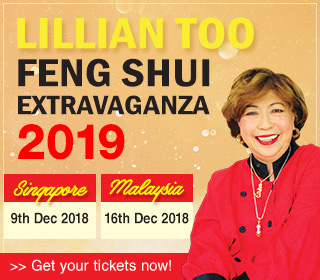 Lillian Too’s Feng Shui Extravaganza 2019 dates are out. 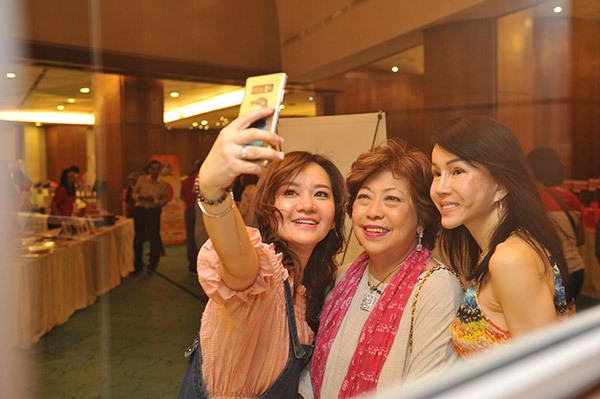 The Singapore event will be held at Suntec City on Sunday 9th December 2018. 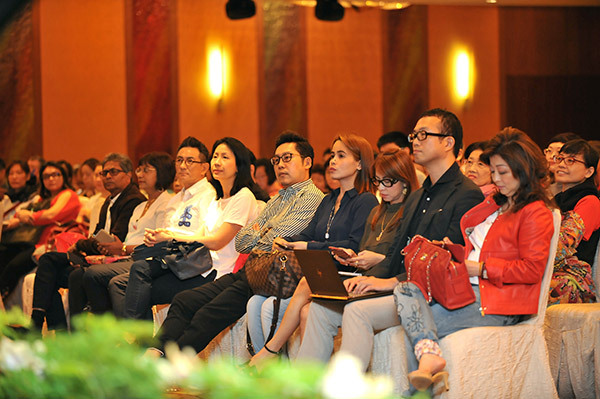 The Kuala Lumpur event will be held at Hotel Istana on Sunday 16th December 2018. Mark your calendar and click here to get your tickets at special Early Bird rates! See you at year end! Previous articleReversal of Fortune! Never Spell Your Name Backwards! Next articleWhat’s Under The Carpet?